The USSR vessel MAXIM GORKIY on Tilbury landing stage on 6/87. I assume this is her name but RWJ might differ. Built 1969 at 24,220 grt. Previous names HANSEATIC & HAMBURG. 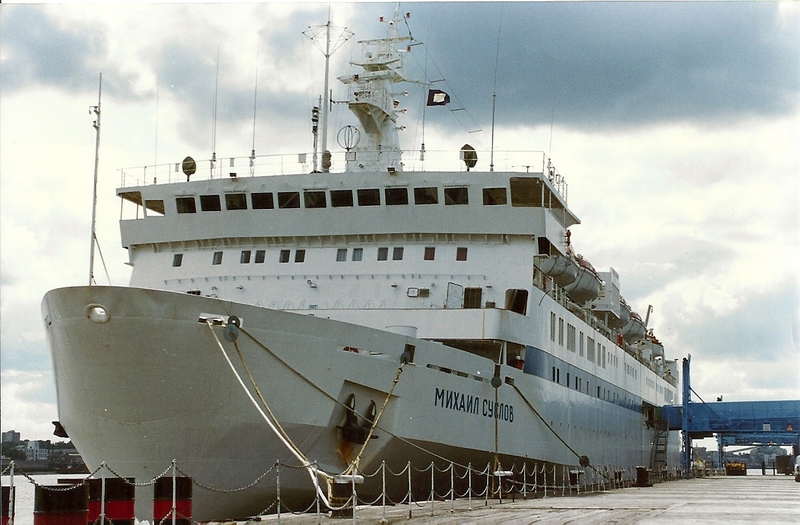 The picture shows the Soviet passenger ship / passenger ferry Mikhail Suslov. ALEXSANDR PUSHKIN on maiden voyage.